India’s first newspaper, founded in 1780, held up a mirror to British rule in India. It can also teach us about how tyrants work and how an independent press can stop them, writes journalist and historian Andrew Otis. 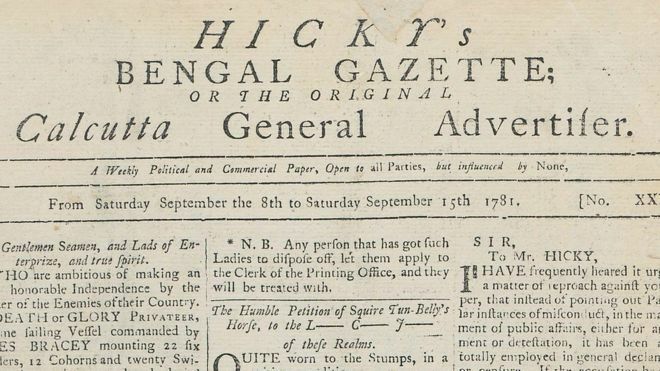 Known as Hicky’s Bengal Gazette after its intrepid founder, James Augustus Hicky, the newspaper notoriously dogged the most powerful men in India. It dug into their private lives and accused them of corruption, bribery and abuse of rights. 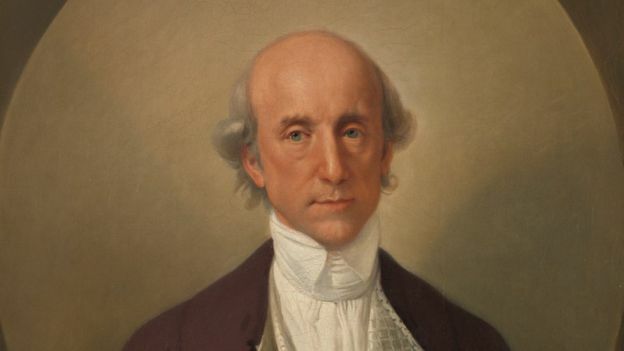 Among many claims, it accused the then ruler of British India, Governor General Warren Hastings, of bribing the chief justice of India’s Supreme Court. The newspaper also reported on the lives of Europeans and the Indian poor – often news that its competitors would have ignored. It bonded with those at the lowest levels of colonial society, especially the soldiers who fought and died in the wars waged by the British East India Company. The newspaper, in fact, called on the soldiers to mutiny, arguing that their throats were “devoted to the wild chimeras of a madman”, a reference to Hastings. 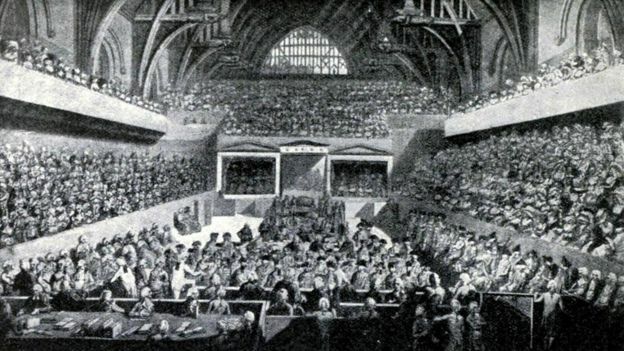 The East India Company funded a rival newspaper to control the narrative, while Hastings’ surrogates resorted to ad hominem attacks, calling the newspaper “insolent” and referring to its writers as “pitiful scoundrels”. 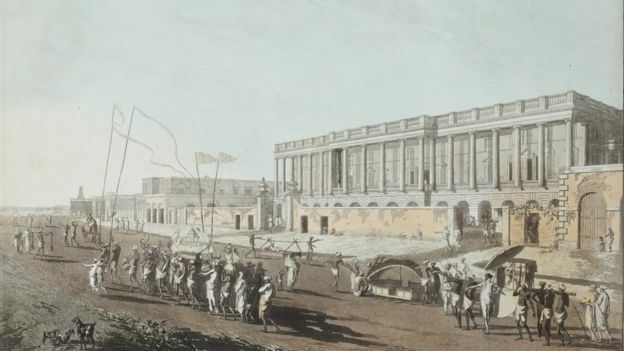 Finally, when one of its anonymous writers argued that the “people are no longer bound to obey” when the government no longer consults their welfare, the East India Company moved to shut it down. He was found guilty and, despite printing his newspaper from jail for another nine months, the Supreme Court issued a special order to seize his printing press, shuttering India’s first newspaper for good. Eventually the allegations of abuse of power and rights made it back to England. Armed with reports from Hicky’s Bengal Gazette, the members of parliament launched an investigation. The reports in Hicky’s Bengal Gazette, and later, in the British newspapers, were instrumental in building public pressure against corruption. Like in the case of India’s first newspaper, authoritarian leaders today seek to suppress the press. The source of their power is to convince enough of the public to believe them, and not what they read in the press. They have new tools to sow divisions between citizens. Facebook, WhatsApp, Twitter and other forms of social media have created “filter bubbles” in which people consume and share content they already agree with. For instance, US President Donald Trump often lashes out at the news media with tweets, denigrating them as “fake news” and as “enemies of the people”. Online trolls in India have also backed a Hindu nationalist agenda. Activists and journalists in the country were arrested in August and, in the fallout, many on social media termed them “anti-national” and said they were against the ruling Bharatiya Janata Party-led government. In such a tumultuous atmosphere, it is time for companies like Google, Facebook and Twitter to be accountable for their effect on society and to follow ethics guidelines that newspapers have followed for decades. Social media companies bear a responsibility to foster connections and dialogue – not division and hate.